Offered with no onward chain delay, early internal inspection of this superb three bedroom townhouse is highly advised! Situated in a quiet cul-de-sac within the Oxton Village Conservation Area, the property has been tastefully decorated and well-maintained throughout and offers a fantastic opportunity for potential buyers to be in one of the most highly sought after areas of the Wirral. In brief, the accommodation comprises to the ground floor; entrance porch, hallway, kitchen, family room which has been professionally converted from what was the garage, spacious lounge, conservatory and cloakroom/WC. To the first floor, there are two double bedrooms, family bathroom and a further single bedroom. 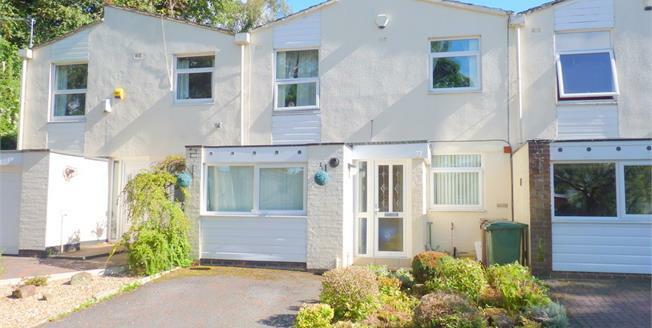 Externally, the property boasts off-road parking for two cars to the front of the property and a flagged garden to the rear providing easy maintenance. Additionally, gas central heating, UPVC double glazing, recently replaced carpets and freshly painted walls throughout the property are also offered. ENTRANCE HALL Carpet, ceiling light, radiator, staircase rising to first floor. KITCHEN 9' 6" x 6' 7" (2.92m x 2.03m) Tiled flooring, ceiling light, UPVC double glazed window to front elevation, tiled splash backs, range of fitted wall and base units with complementary work surface, stainless steel inset sink with drainer, integrated gas hob and electric oven, space for freestanding fridge/freezer, washing machine. OUTSIDE Tarmacked driveway to front, flagged rear garden with perimeter fence.